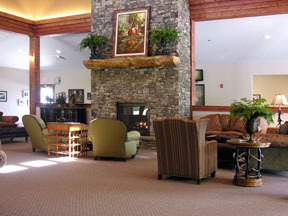 Located in the foothills of the Blue Ridge Mountains, in the town of the same name, The Lodge at Tallulah Falls offers a place to relax between arduous hikes to mountain tops and long walks to waterfalls. Spacious and bright, the lobby of the newly opened Lodge is warm and welcoming, qualities that you also find in all of its staff members. With a beautiful and large chimney as its focal point and comfortable armchairs, it brings up images of a good book on a snowy day. 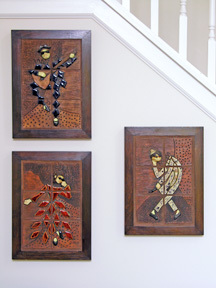 The Lodge has implemented an excellent idea, using the walls of the lobby and other public spaces as a gallery where the works of local artists are displayed. We are showing there one of our PixelGraphs, Sibley Pond, and its color and peaceful composition matches the ambiance of the place. Looking forward to spending a long weekend there soon! It was called Art at the Lake 2008 Show & Sale, and it lived to most of its name. Art everywhere with a beautiful lake as a backdrop. A lot of people, looking and admiring, but not many sales. 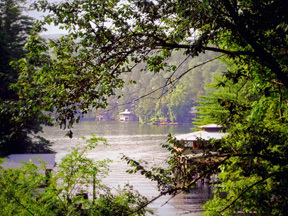 It took place at the Pavillion at Lake Rabun, on Saturday, July 26th. 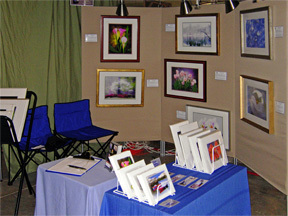 Our booth was on the lower level, the lake level. The day started a little cloudy but it cleared by the afternoon and the temperature next to the water was pleasant. “Very nice, but we don’t have any room for it”. Whatever the reason, for most of us, the sales did not materialize. A pity, because besides our photomontages (to which I’m very partial, of course) there were some really beautiful oil paintings, pastels, watercolors, photographs, digital art, wood works, and ceramics. 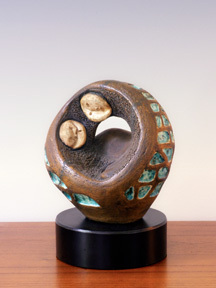 These are some of my ceramic sculptures. From May 3th to June 7th, 2008. 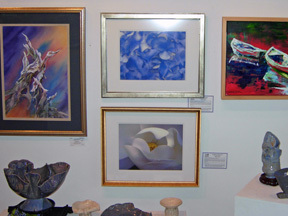 A group show of the North Georgia Arts Guild at the Georgia Heritage Center for the Arts. 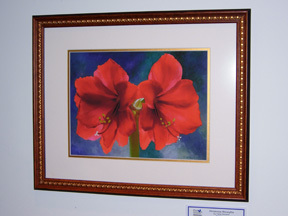 Paintings in oil, watercolor, pastels and acrylics, ceramics, photographs and wood carvings, as well as three of our photo montages. A lot of creativity under one roof! The Guild had the reception on the 10th and we spent a very nice couple of hours talking to the guests and other artists about our work and other themes that are important to us as artists, such as upcoming shows and how to better manage our time and our resources in that respect. Black Rock Mountain State Park in Rabun County is the highest state park in Georgia. Its scenic overlooks offer spectacular vistas of the Southern Appalachians. The ideal combination of sky and mountains to take a spur-of-the-moment handheld panoramic picture. 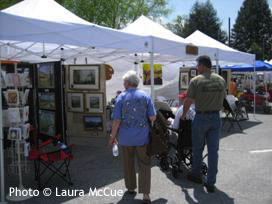 Surrounded by the beautiful mountains of North Georgia, the city of Clayton in Rabun County celebrated the art, crafts, foods and sounds of the region during the weekend of April 26th-27th. Saturday was cloudy but the rain held off until the evening. A nice crowd and a typical Spring day. 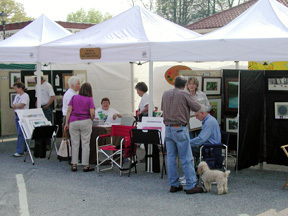 We showed three of our framed photomontages in the large booth of the North Georgia Art Guild, of which we are members, and sold several prints. Sunday dawned cloudy, cleared around noon and grew very stormy by 3PM. Time to pack up, say our goodbyes and head home. Very few times is one lucky enough to capture an image that triggers so many emotions. 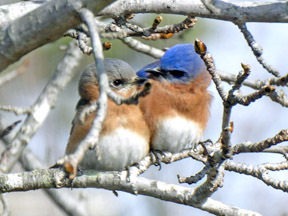 The picture of these two young bluebirds manages to do just that. Their caring for each other fills our hearts with tenderness and puts a smile on our faces.